So I recently took my guitar, a Rogue Rocketeer (a rather unknown and crappy guitar), and took the purple/black finish off of it. Since I’m not a electrician, I didn’t take the pickups out before using a heat gun to take off the glossy layer of laquer. 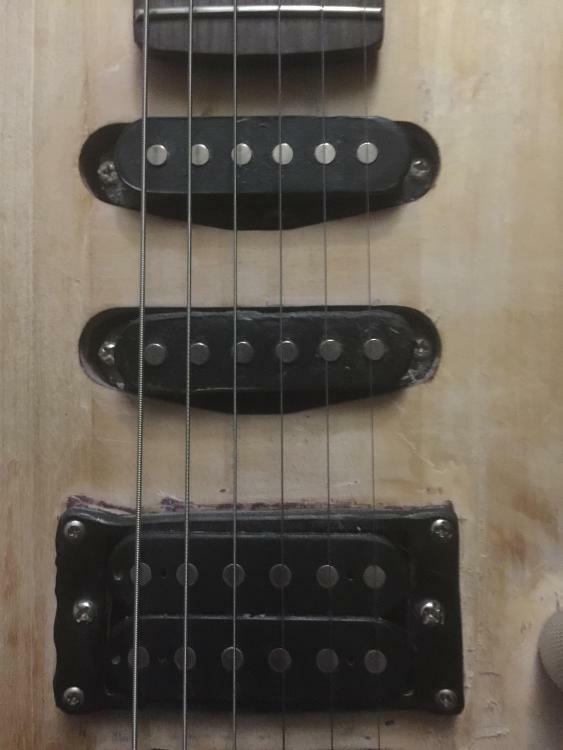 So naturally the pickups started to sludge and melt a smidge as I took the varnish off. However, very nervous I broke my only guitar, I plugged it in after it was redone and to my surprise, it sounds exactly like a Jimmy Page esk Telecaster. It has that sorta fuzzy raw sound from Jimmys dragon. Anyone know how this is possible? It's possible that you melted some of the varnish insulation off of the wire coils in the pick ups. That would shorten the wire decreasing the output. Are you running your amp a bit hotter now to get the same volume?